Spice blends remind me of the trips I used to take with my dad to down town Amman. There was a time when you could only buy your spices and spice mixes at the old parts of the city. Sure, it is more convenient to have a supermarket or a mall around every corner where you can buy everything that you need (and don’t need) but I always found it enchanting to watch the process of making a spice blend. Arabic seven spice blend is the third blend in my herb and spice blend series. It is used heavily in the Levantine cuisine, particularly in Syrian and Lebanese recipes. خلطات البهار تذكرني دوما بالاسواق القديمة. عندما كنت طفله كنت اذهب مع ابي الى البلد في عمان لشراء البهارات. في ذلك الوقت لم تكن هناك مجمعات تجاريه ضخمه و لا مولات في كل حي و كان يتوجب عليك ان اردت ان تشتري الكثير من الاشياء ان تذهب الى البلد. Posted in Arabic and middle eastern recipes, How to and tagged arabic seven spice, homemade, homemade spice blends, make from scratch, spice mix, وصفه, اسواق قديمه, بهارات, تحضير خلطه السبع بهارات في المنزل, سبع بهارات. Bookmark the permalink. Thank you for this delicious sounding recipe. As a single man, this would be a lifetime supply, so I am just going to substitute 1 teaspoon for each 1/4 cup in the recipe. That should pretty much fit into a standard spice jar. Thanks again! Great spice blend … I’m going to have to give it a try. Oh that sounds just divine, I can imagine the scent.. I will try it though finding fresh spices will need a trip to chicago.. is your spice shop still there? This is just lovely! I should find everything easily to make this… and your pics are stunning Sawsan!! Oh Sawsan, have to use your recipe on a slightly smaller scale to try! Methinks like ras-el-hanout and baharat there are as many variations as there are those who cleverly mix!! Just have to try: here in Australia we have some very good small spice merchants . . . 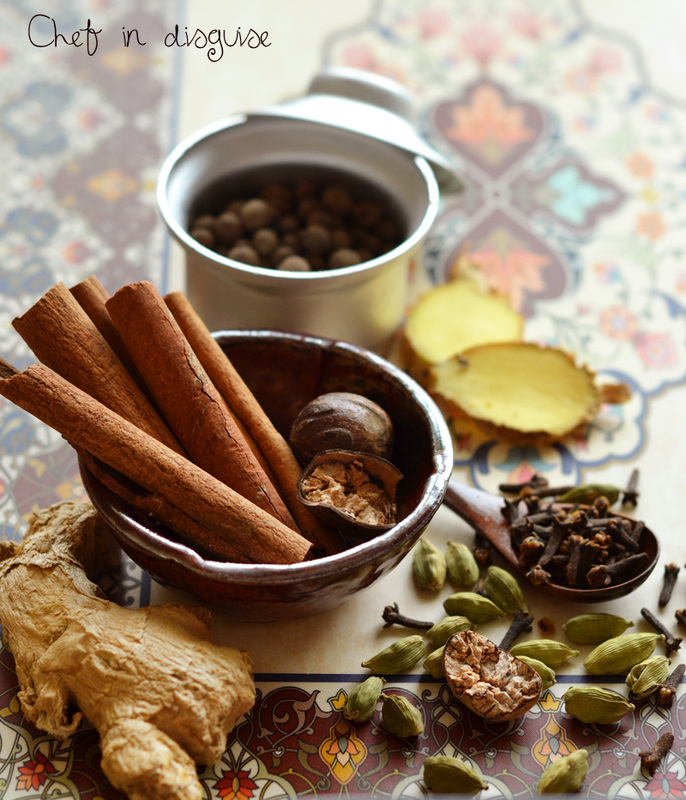 This is a brilliant spice blend, thanks for sharing! I think I’ll try this spice mix this week with rice or couscous as you suggested! Thanks!! That ingredients are easily find in Indonesia. I am wondering if you have any recipe/ratio for the da’ ah spice blend. A recipe I am trying out for the first time calls for this spice but I have not been able to find it either in specialty spice shops mixed or even a recipe to create it myself. It seems as though it is very similar to the 7 spice blend you have here with the exception that the ground ginger is not listed as an ingredient in the da’ ah mixture. Any idea how I can either find the spice or make it myself? 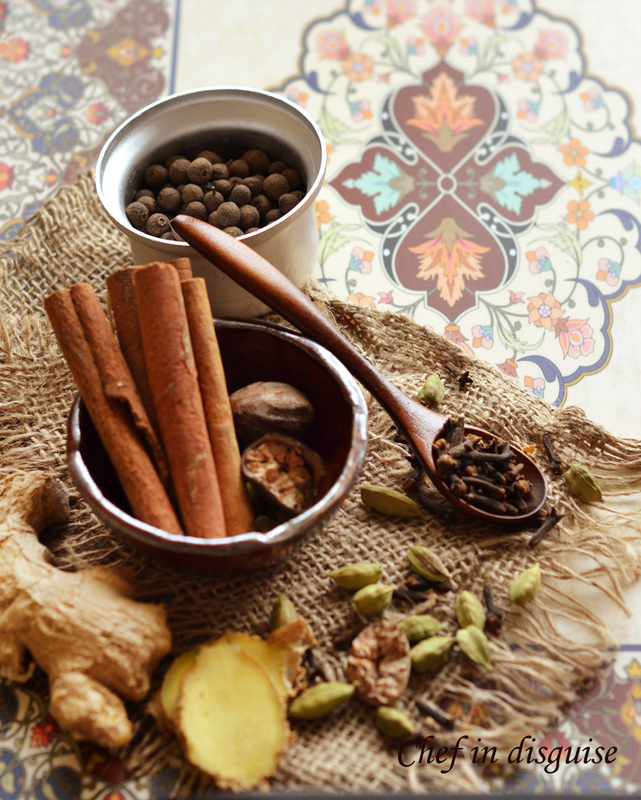 The cookbook author describes the da’ ah spice as a combination of cardamom, cloves, nutmeg, allspice, black pepper and cinnamon.